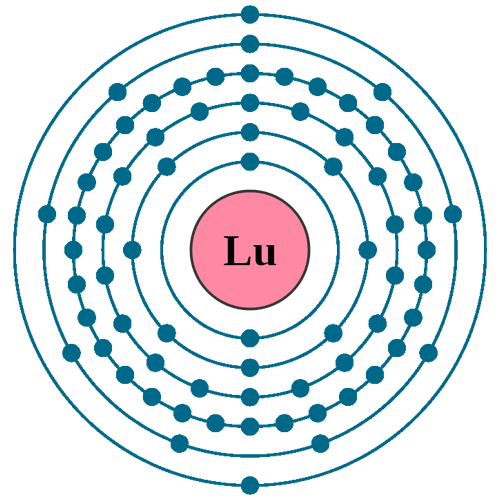 Lutetium metal obtained by reduction of anhydrous Lutetium chloride (LuCl3) or fluoride (LuF3) by either alkali metal or alkaline earth: metal. It’s primary use is in chemical research. Few commercial uses outside research is as a catalyst for cracking hydrocarbons in oil refineries. 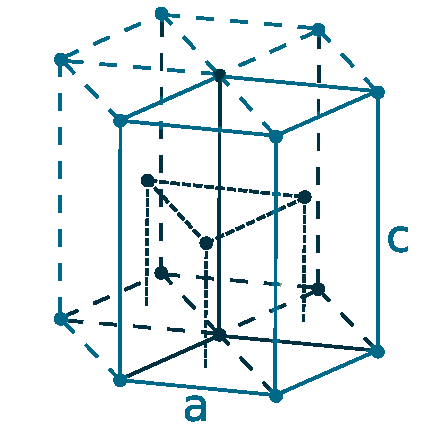 Biological role: It has low toxicity, but it and its compounds should be handled with care. 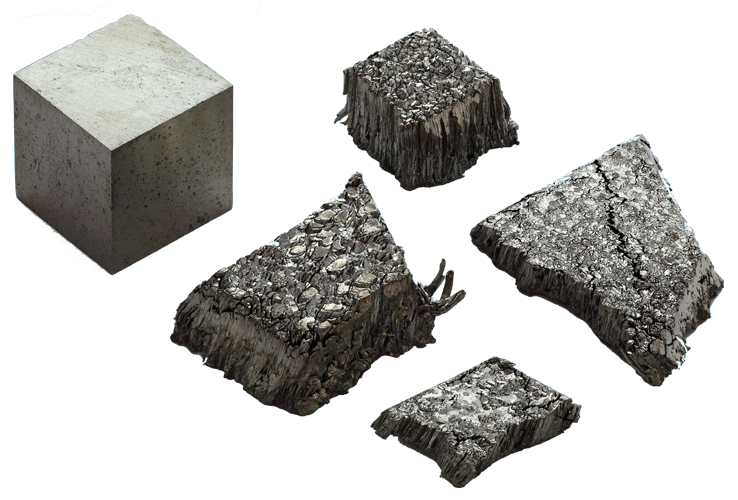 It is a rare earth metal and may be the most expensive of all rare elements. 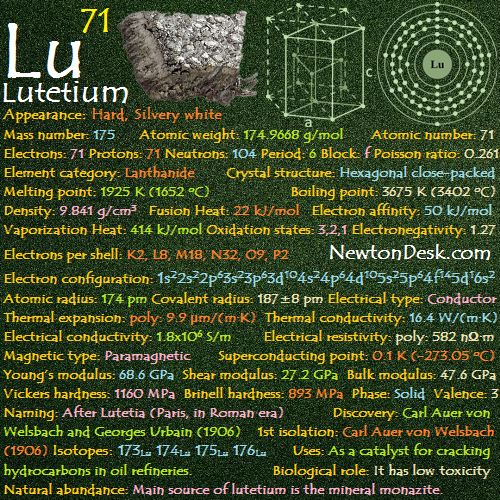 Main source of lutetium is the ores Monazite and Bastnasite, Where Monazite is also contains Thorium and Ytterbium. It is extracted, with difficulty, by reducing the anhydrous fluoride with calcium metal. world wide production is around 10 tons per year.